Leasing Available from $10.12 per month! 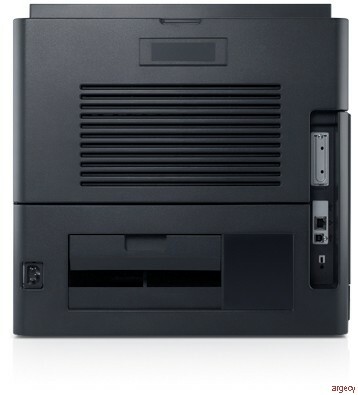 Looking for Dell B5460 Parts? Outstanding performance, value and scalability. Fast, cost-effective and reliable, the Dell TM B5460dn mono laser printer offers optimal performance and advanced security features. 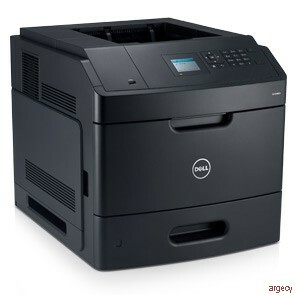 The Dell B5460dn printer features blazing speed, reliability and robust performance at a low cost. Outstanding reliability: Offers a maximum high duty cycle* of up to 275,000 pages per month, to easily meet high volume printing demands. Maximum network performance: Built-in gigabit Ethernet port for blazing data transfer. 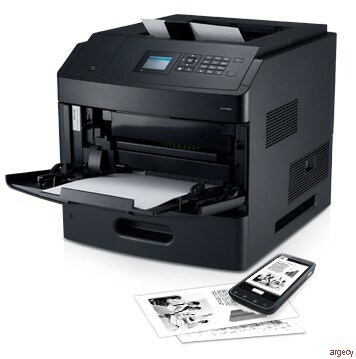 Your organization needs a printer that can handle your work load now and into the future. 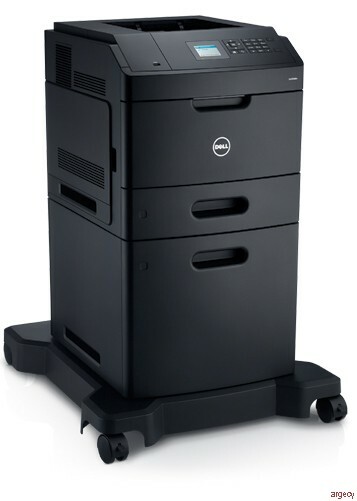 The Dell B5460dn offers expandable options to cater to your growing needs. Add up to 3 optional 550-sheet input paper trays and a 2100-sheet high-capacity feeder to allow a maximum of 4,400-sheet input paper handling. Upgrade output capacity to up to 2,050 sheets by adding the 1500-sheet stacker. Print on a variety of paper types including labels, envelopes, transparencies, heavy cardstock and perforated legal forms. Sort and stack printouts from different workgroups and facilitate document management with the optional 4-bin mailbox. The optional Staple Smart Finisher staples documents up to 50 sheets thick. Includes standard USB and Gigabyte Ethernet. Connect easily and print on fibre-channel networks by adding the optional Dell Fibre Interface Card Kit. An optional parallel, serial card kit and optional wireless server for 802.b/g/n wireless data transfer is also available*. Improve the performance and functionality with the optional Hard Disk with encryption to protect user data. Protect your organization's valuable data with robust security features designed to let you confidently be productive. Confidential Print:Send sensitive documents to the print queue, where they're held until a PIN is entered at the printer display for secure printing and pickup. Network data security:SNMPv3 and IPV6 protocols with IPsec encrypt data while the optional wireless card supports 802.1x wireless security. 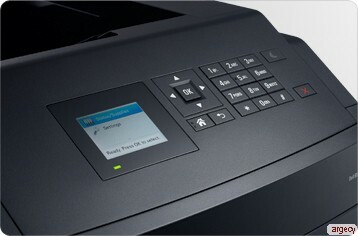 Access controls:Enable and disable printer functions and allow remote access via security templates. Physical security:Secure the entire printer with a Kensington lock. You can also use the optional lockable paper tray to protect costly or sensitive media, such as company letterheads (lock, cable and optional tray sold separately). The Dell B5460dn printer makes operation and management easy with simple settings and a comprehensive printer management utility. Easily navigate and adjust menu settings with the intuitive 2.4 inch LCD. Use the Embedded Web Server (EWS) for easy remote management. Eliminate the clutter on your PCs and streamline driver management with Dell Open Printer Driver (OPD). Monitor, manage and create reports for all Dell printers on your network with Dell OpenManage TM Printer Manager (OMPM) utility. Keep your downtime to a minimum and your business running to the maximum with technical support that is just a phone call away. SAP SAP R/3 v4.6C, 4.x and 3.x and later.